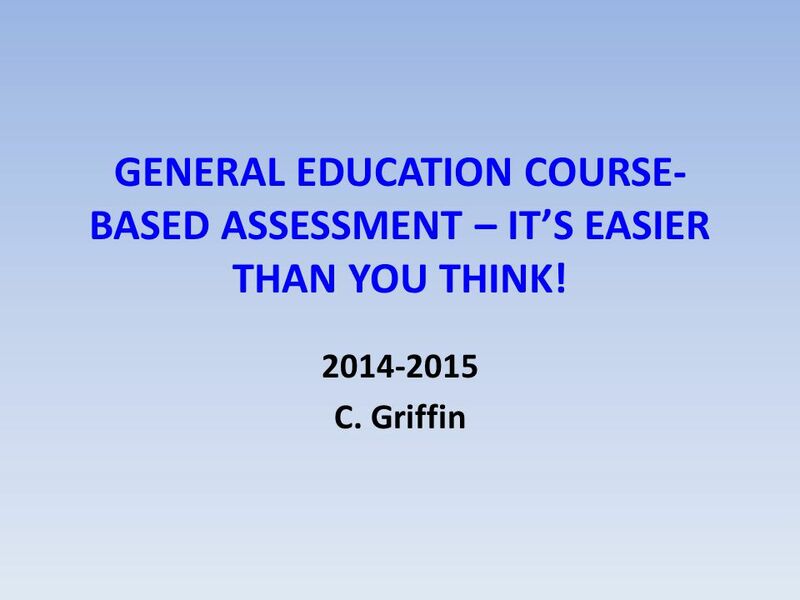 GENERAL EDUCATION COURSE- BASED ASSESSMENT – IT’S EASIER THAN YOU THINK! 2014-2015 C. Griffin. 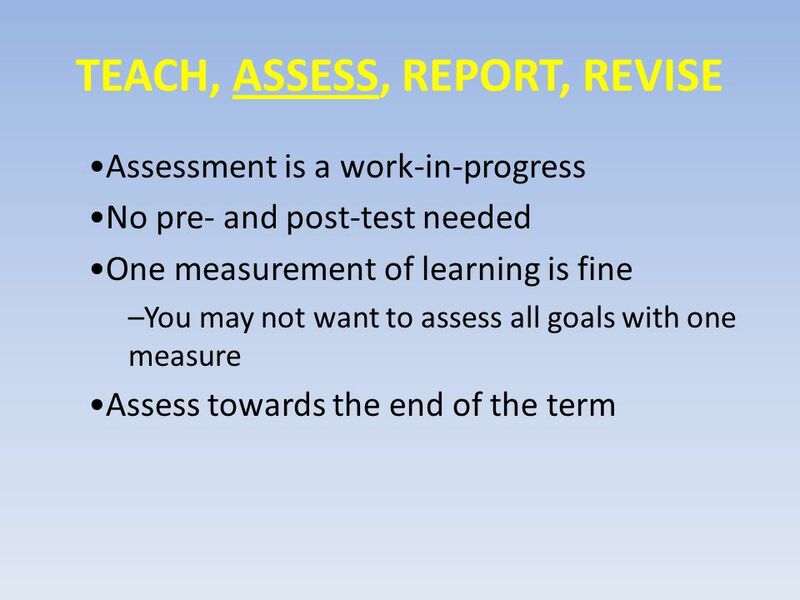 6 TEACH, ASSESS, REPORT, REVISE Grades – we can’t use grades! 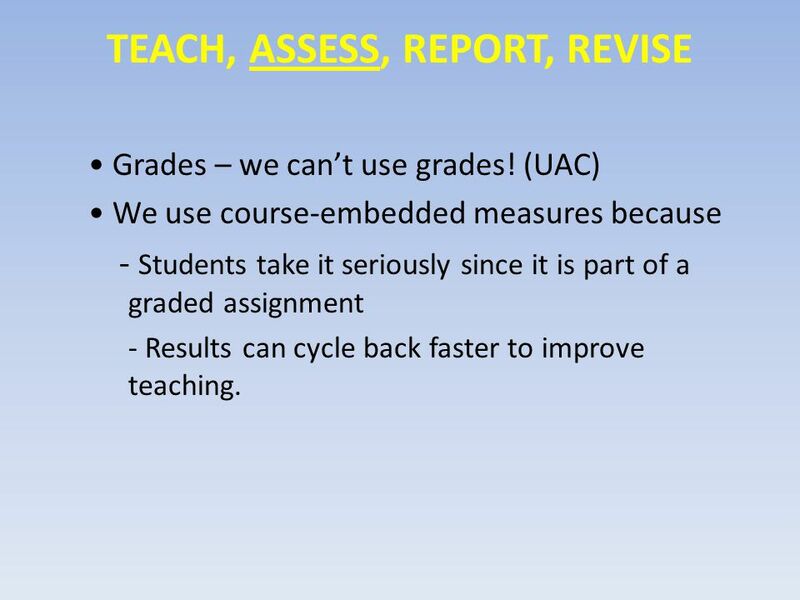 (UAC) We use course-embedded measures because - Students take it seriously since it is part of a graded assignment - Results can cycle back faster to improve teaching. 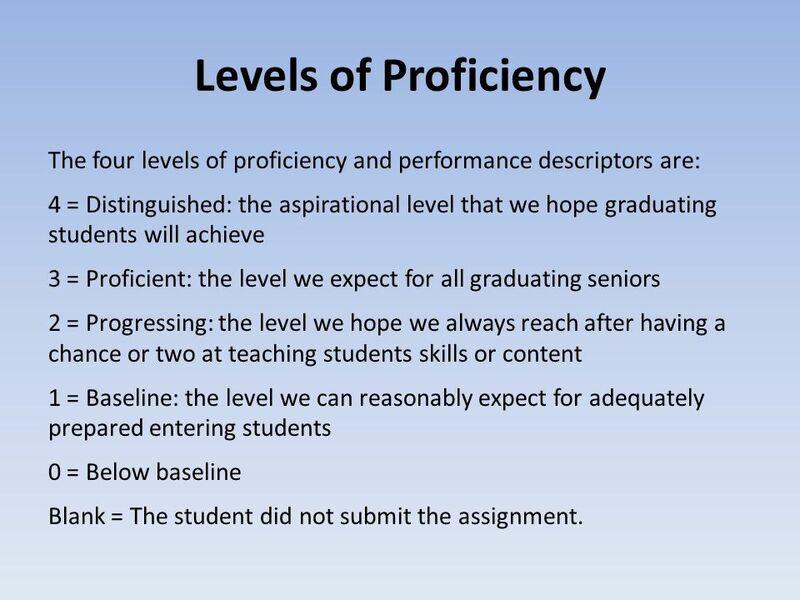 9 Levels of Proficiency The four levels of proficiency and performance descriptors are: 4 = Distinguished: the aspirational level that we hope graduating students will achieve 3 = Proficient: the level we expect for all graduating seniors 2 = Progressing: the level we hope we always reach after having a chance or two at teaching students skills or content 1 = Baseline: the level we can reasonably expect for adequately prepared entering students 0 = Below baseline Blank = The student did not submit the assignment. 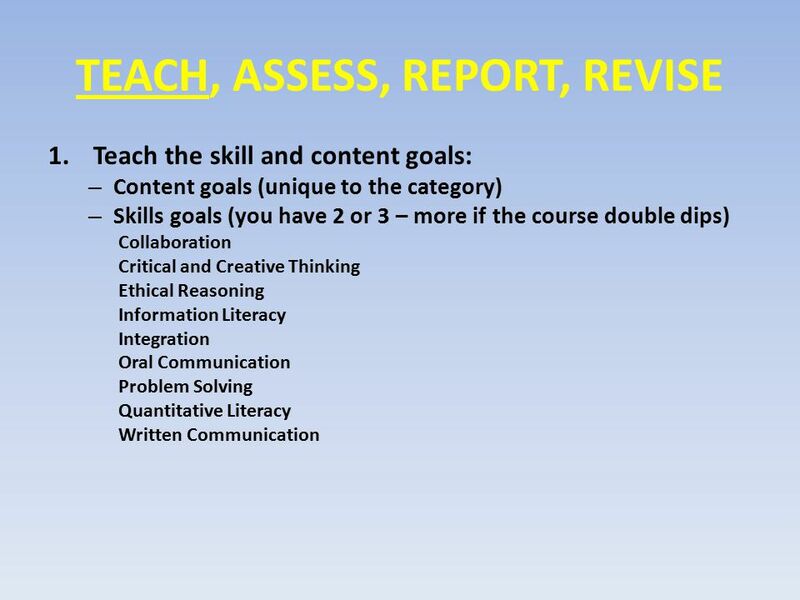 19 Skills Goals Options Courses with Goals 6. 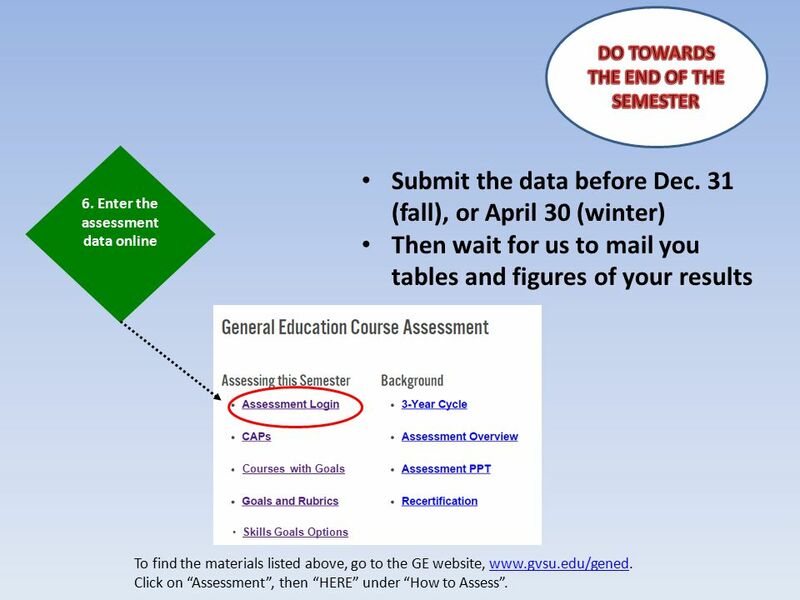 Enter the assessment data online Submit the data before Dec. 31 (fall), or April 30 (winter) Then wait for us to mail you tables and figures of your results To find the materials listed above, go to the GE website, www.gvsu.edu/gened.www.gvsu.edu/gened Click on “Assessment”, then “HERE” under “How to Assess”. 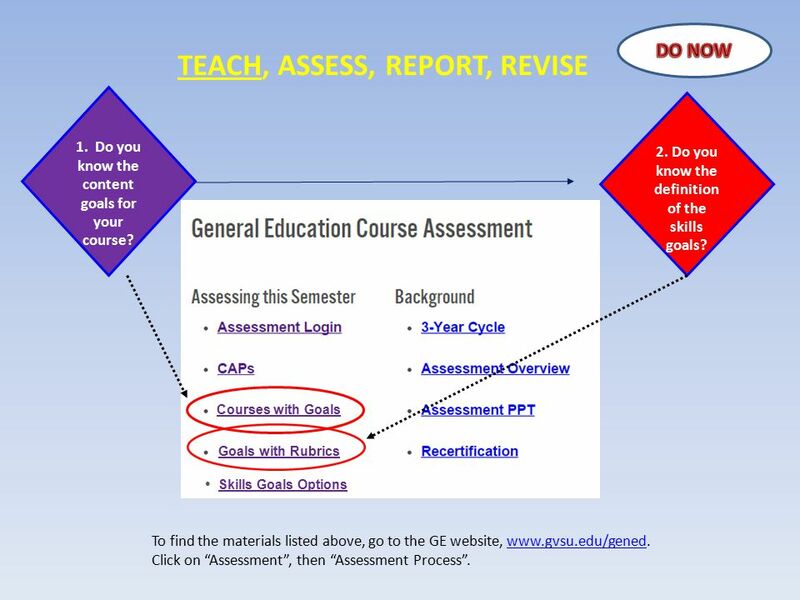 Download ppt "GENERAL EDUCATION COURSE- BASED ASSESSMENT – IT’S EASIER THAN YOU THINK! 2014-2015 C. Griffin." 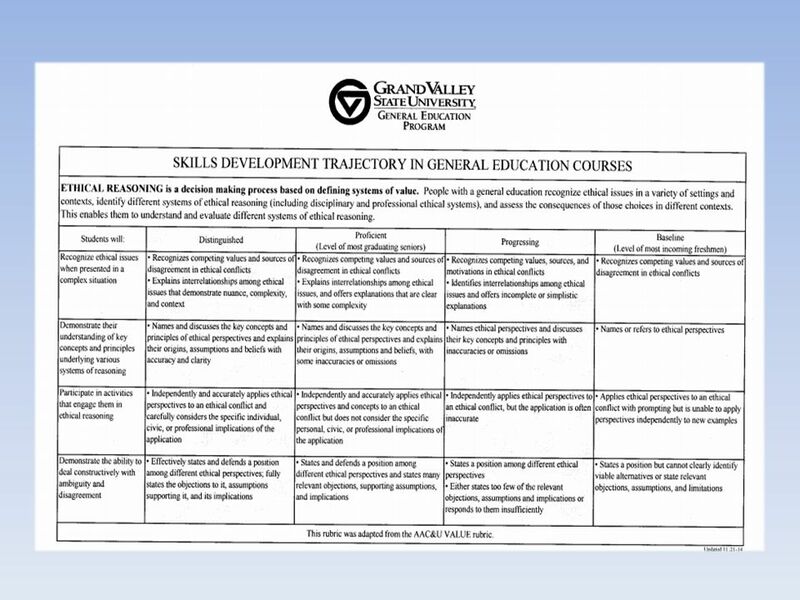 Essential Standards: Information and Technology Skills and Computer/Technology Skills SCOS Develop awareness and foundations of required technology standards. 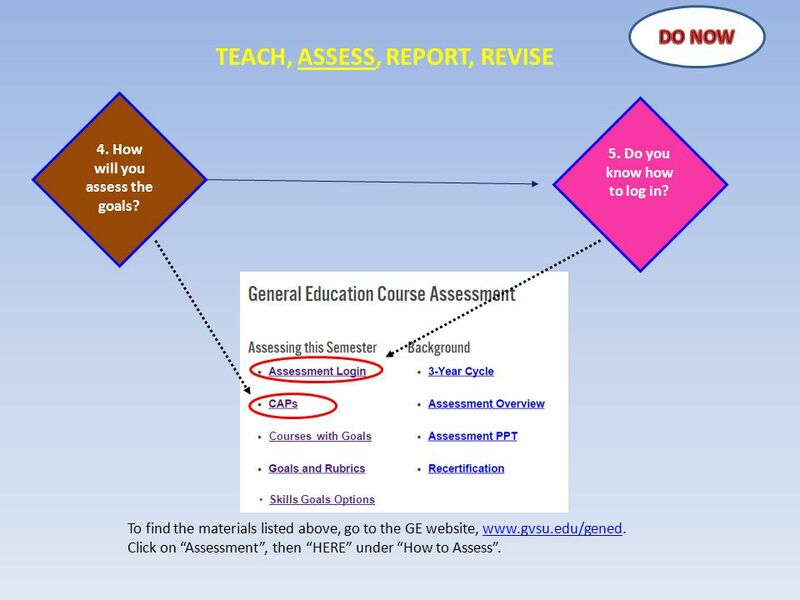 How do I Read My DARS Report? A Quick Reference Guide “Obstacles are those frightful things you see when you take your eyes off your goal.” ~Henry Ford. 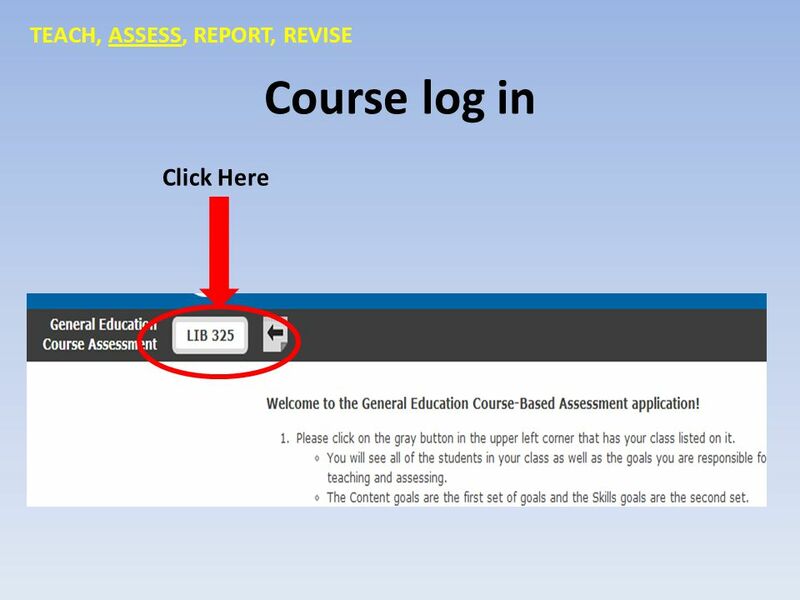 Applying Made Easy: Technical Details of the UC Application Fall 2013. 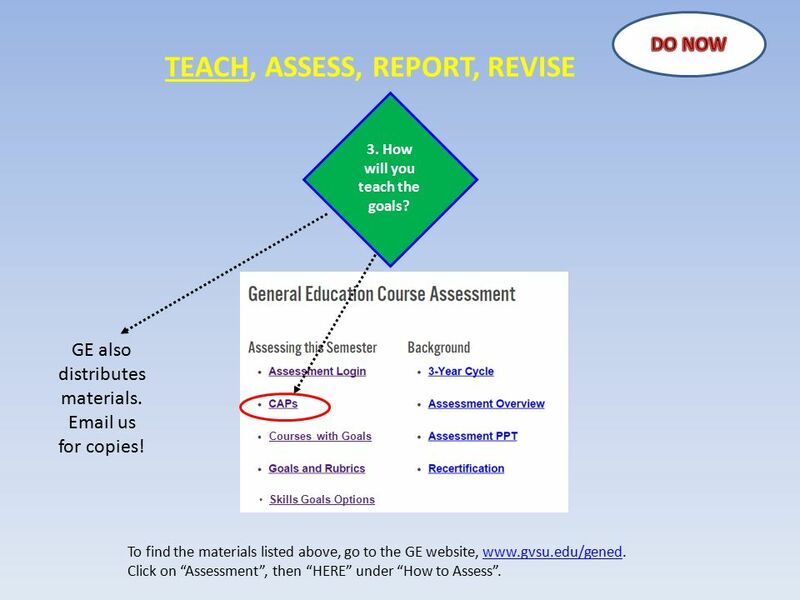 You can use this presentation to: Gain an overall understanding of the purpose of the revised tool Learn about the changes that have been made Find advice. 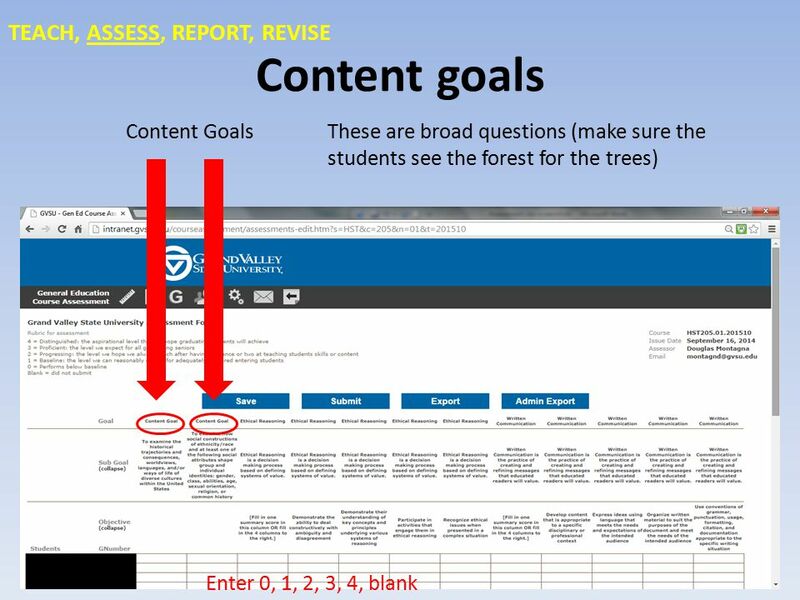 Physical Education PilotPhysical Education Pilot A new path to measuring growth in traditionally non-tested grades and subjects. 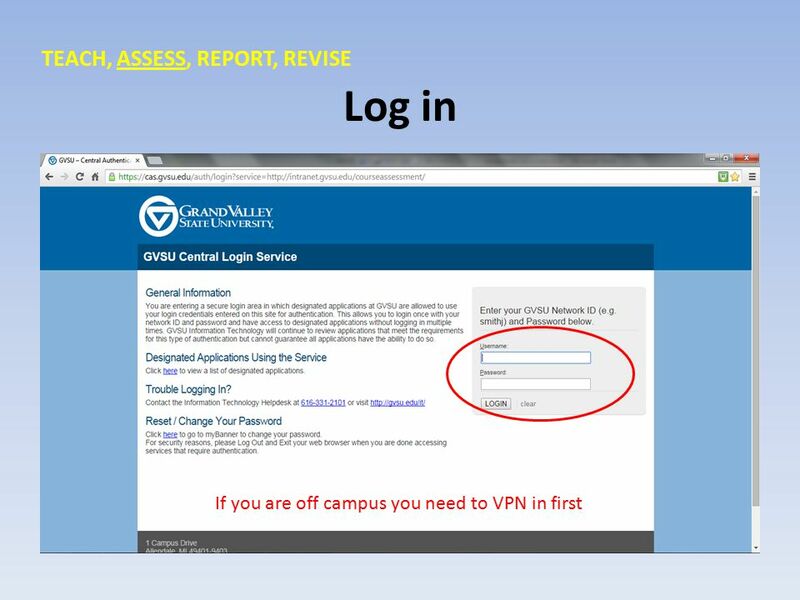 Dual Enrollment Preparing to Register for the Fall 2014 Semester. 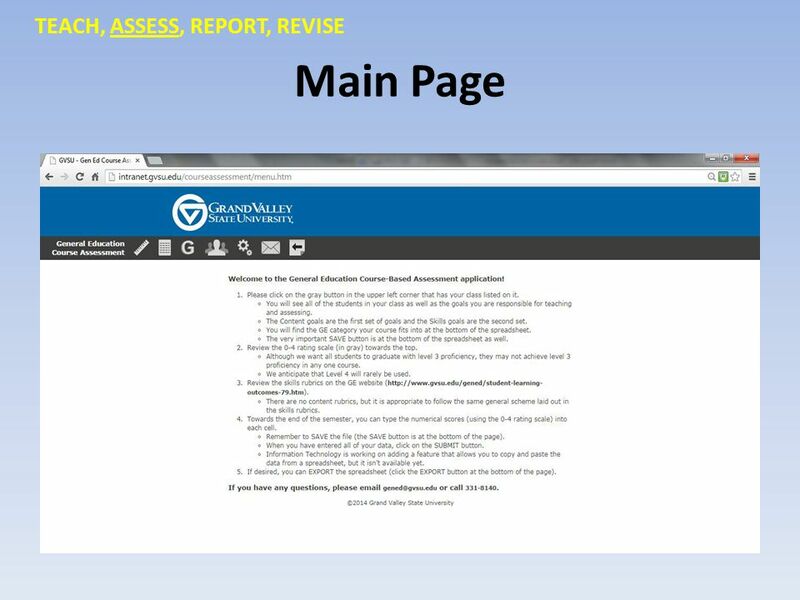 Pre-registration training website The pre-registration portfolio is completed in an online capacity. 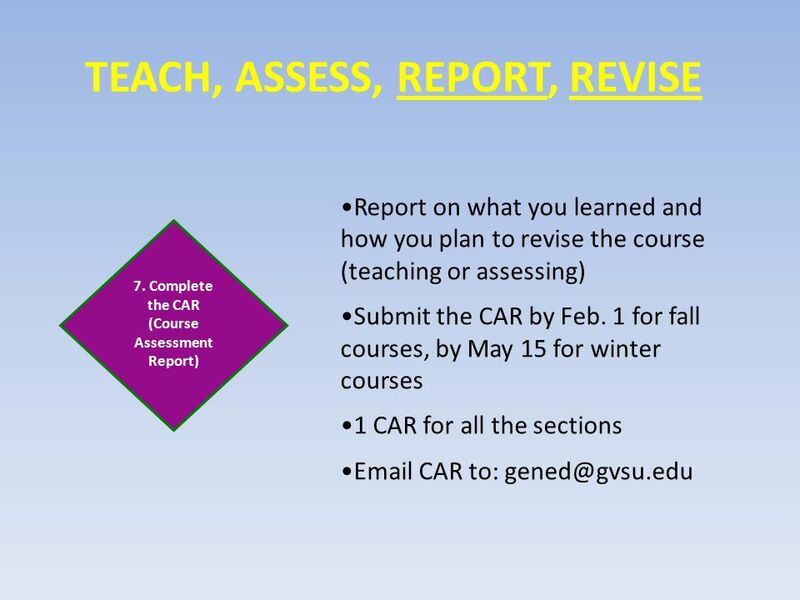 This e- presentation will guide you though a series. 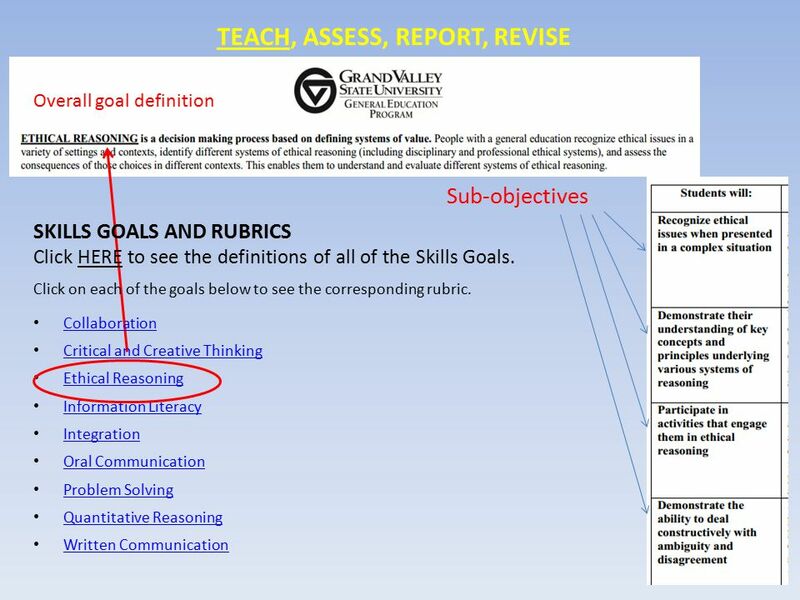 SLG Goals, Summative Evaluations, and Assessment Guidance Training LCSD#7 10/10/14. 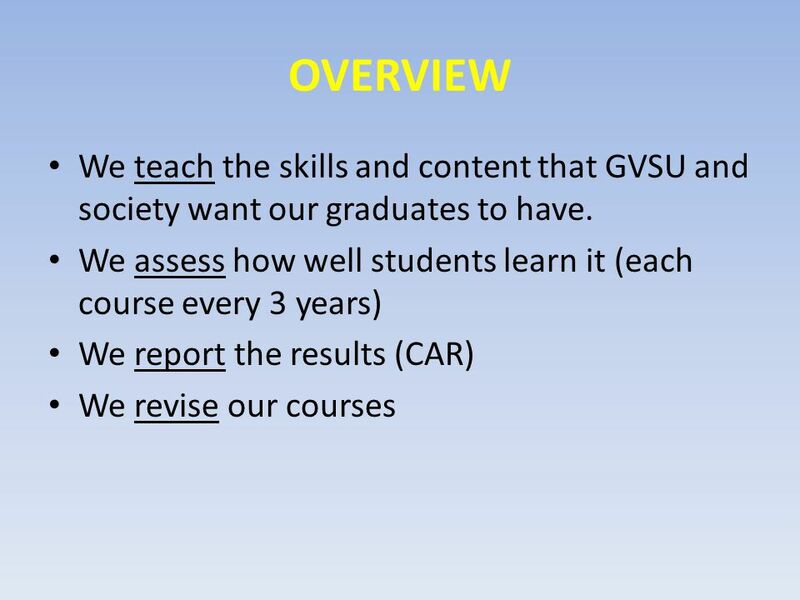 Sunday, Dec. 14 (the day before the first day of final exams) TAs Courtney Staycoff and Josh Kressmer will be on duty in the open lab (room 203) to answer. 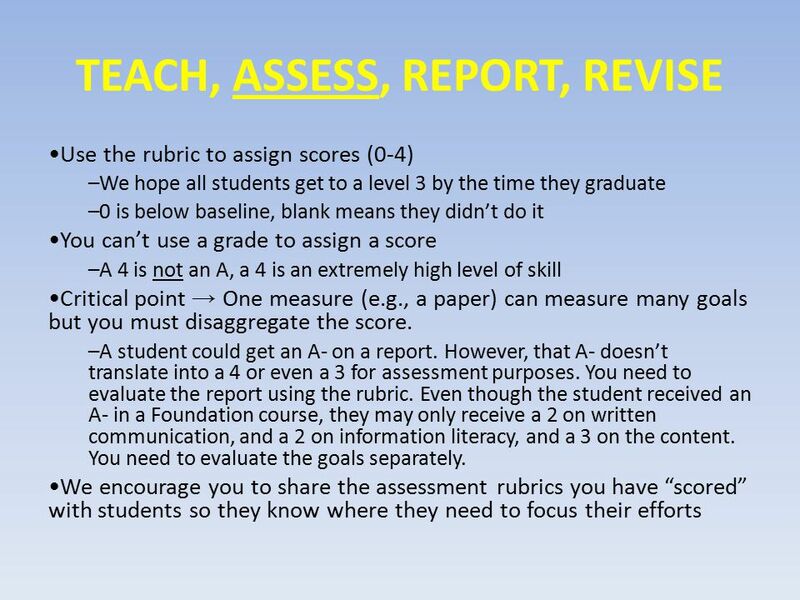 McRel’s Evaluation System Training Session 1 May 14, 2013 Herbert Hoover Middle School. 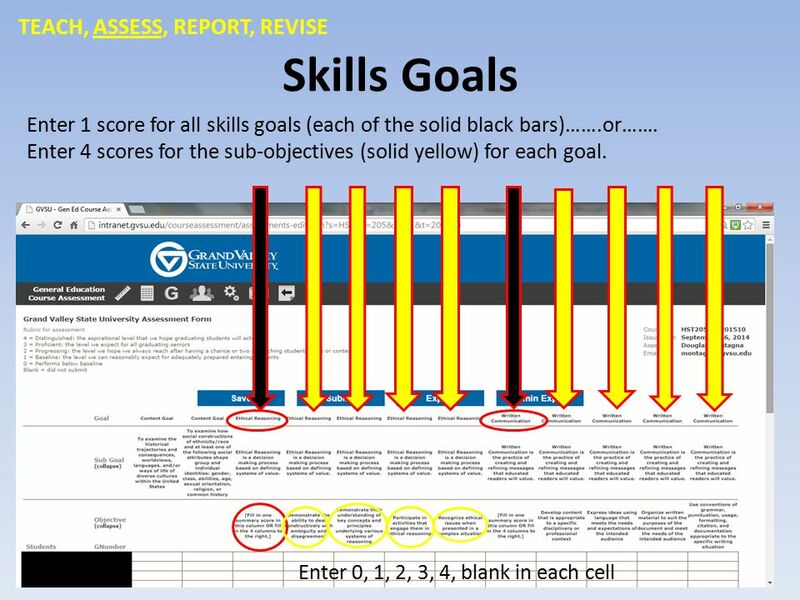 Multi-State Collaborative to Advance Learning Outcome Assessment Pilot Project and PCC. 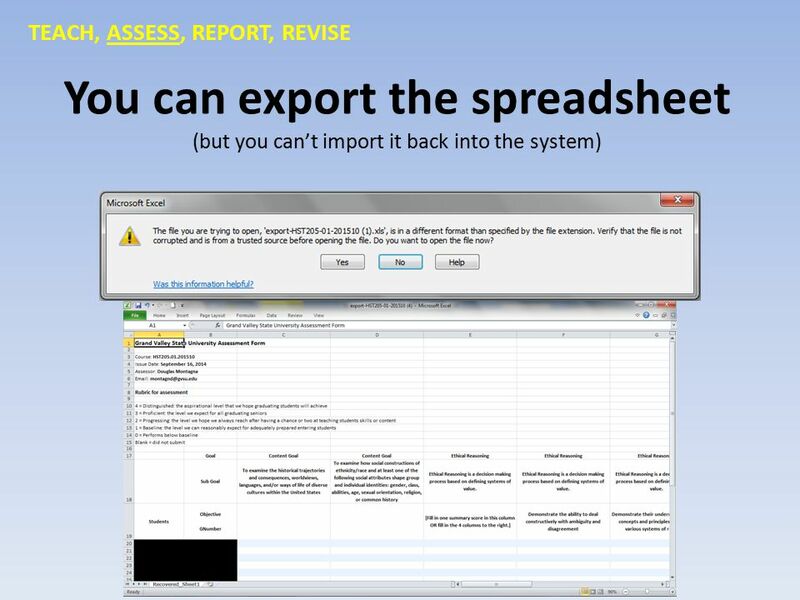 2023IBA Tutorial Week 6: International Business Report Monday September 1 Tuesday September 2 Griffith Business School. Southern Regional Education Board HSTW Ten Conditions that Result in Students Making Greater Effort to Succeed Gene Bottoms.